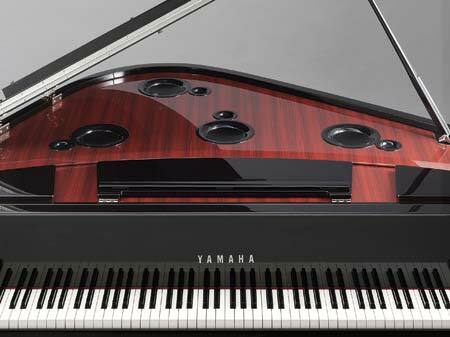 Imagine a digital piano sounds exactly like an acoustic grand piano. That’s what reviewers think about Yamaha’s Avantgrand N3. The selling street price is US$15,000. According to Keyboard Magazine review, the touch, the sounds, and the realism of N3 is comparable to a US$30,000 six-foot grand piano. This is without considering the extra features such as “no-tuning-needed-ever”, “mute-with-headphone-plugged-in”,”instant-scale-temperaments-change”, and “song-recording-playback”. If it were cheaper, there will be no reason to get a real grand then. I listened to thousands of demonstration videos about digital pianos. And they never play a single bass note and wait until it stops sounding. It’s because no one of this kibd os instrument sustais a note like a real piano. They all stops very early. I think it’s deeply anti-musical. I believe this video plays a few bass notes. There was another demonstration (in German I believe), but I can’t find it right now that really nailed the bass line on this thing. With it’s built in sub-woofer, the bass is beautiful. Anyway, enjoy! How much does this piano cost….can’t find info anywhere!